 The Gold Coast 2018 Commonwealth Games Corporation (GOLDOC, we, our, us) was established in 2012 under the Commonwealth Games Arrangements Act 2011 (Qld) to plan, organise and deliver the Gold Coast 2018 Commonwealth Games, in conjunction with the Australian Commonwealth Games Association and the Commonwealth Games Federation. GOLDOC collects and manages personal information in the course of performing its activities, functions and duties. We respect the privacy of the personal information held by us.  The way in which GOLDOC manages personal information is governed by the Information Privacy Act 2009 (Qld) and other legislation in force in Queensland (Acts). This Statement describes generally how any personal information GOLDOC collects from you or that you provide to GOLDOC will be held, used, processed or disclosed by GOLDOC. Taking any action which we are required or authorised by law to take. Any other personal information provided to us when you make an inquiry, request information, respond to marketing, enter into one of our competitions or lodge a complaint. Provide any other personal information to us when you make an enquiry, request information, respond to marketing, enter into one of our competitions or promotions, complete a survey or lodge a complaint. You can choose to accept or decline cookies. Please be aware that disabling cookies completely means that certain personalised features will not be provided We use traffic log cookies to identify which pages are most being used. This helps us analyse data about web page traffic and improve the website by tailoring it to user needs. We only use this information for statistical analysis purposes, then the data is removed from the system. Some cookies are not set by us, but by other sites which provide a service or functionality on our website. These ‘third party’ cookies may require you to visit the websites of these third parties to manage, delete or block them. Any other entities, with your express or implied agreement. The entities may in turn disclose the personal information we provide to them to other parties.  These other parties include charitable, marketing, promotional and tourism entities, as well as any other person required by law, including interested parties such as Commonwealth Games Federation; Australian Commonwealth Games Association; Gold Coast City Council; and the State of Queensland. If you opt in, we may send you direct marketing communications and information about products and services that we consider may be of interest to you. If you agree to the receipt of such communications, you acknowledge that they may be sent in various forms (including but not limited to mail, SMS, email, EDM) and in accordance with all applicable laws.  If you indicate any preference as to how you wish to receive any communication, we will take reasonable steps to use that method where practical. You may elect to opt out of receiving direct marketing communications from us at any time by contacting us at the details set out below or otherwise using any relevant opt out facility provided. Upon doing so, we take all reasonable steps to ensure that you are removed from our mailing list. We take reasonable precautions to deal with your personal information lawfully and to protect it against loss, and unauthorised access, use, modification, disclosure or other forms of misuse. We cannot however guarantee the security of any information you provide to us in an email or in online form while it is being transmitted to us, because the internet is a potentially unsecure method of information. Any transfer of information from you to us is at your own risk. Whenever you voluntarily post private information in public areas of the website, you should be aware that such information can be accessed by the public and may in return be used by others to send you unsolicited communications. We recommend that you exercise discretion in deciding what information you post in public areas of the website. Any personal information that you provide us or we otherwise obtain from you may be transferred to or stored in a destination outside of Australia. Furthermore, it may also be processed by staff operating outside of Australia who may not be employed by us but who have entered into a contract with us in relation to the processing of the relevant personal information. By submitting personal information to us you expressly consent to us transferring, using, storing or processing all such personal information to relevant international third parties. We will take all reasonable steps to ensure that any personal information submitted to us is stored, used or processed securely when transferred to any third party. If you wish to have access to any documents held by us which contains your personal information, please contact us. See "GOLDOC Privacy Contact Details" on how to contact us. GOLDOC will within 45 business days of receiving your complaint, investigate the circumstances of your complaint and provide you with a response. We may from time to time make changes to this Privacy Statement. If we amend this statement, we will post the amended statement on our website.